Do you need Recommendations for your Kids to get their Teeth straightened? Many people will only have to see a general dentist in their lifetime, but for some, they may also need to see an orthodontist. While many people believe that orthodontics is just a cosmetic thing this is not the case. Orthodontists are your best friend if you or someone in your family have an overbite, underbite or if there are teeth that need to be realigned to fix crowding or spacing in the mouth. All these issues can lead to issues such as: difficulty in eating or chewing; problems with speech; gum disease and/or tooth decay. Choosing the right orthodontist for you and your family can be hard and stressful, but if you are successful, it will be a more comfortable and better experience for the whole family, that's why we suggest getting some vital information before deciding whom to trust with your health and, oh yes, your smile. What should be expected as far as post-treatment follow up? From which accredited Dental School did you graduate and where did you complete your Orthodontic Residency Program? Are you a board-certified orthodontic specialist? Do you personally do all of the work on your patients (bend the wires, attach brackets, etc.) or other associates will complete the task? If so, what is their level of expertise? How many times do we need to visit the orthodontist’s office? Are there any restrictions on activities or food during treatment? What happens if the dental appliance breaks or gets lost? Well... for most, this is the bottom line when it comes to orthodontic treatment. Do you accept most of the insurances? This is critical since insurance coverage can change or your employer decides to go with a different insurance plan, or maybe you decide to change plans yourself. Ask your dental insurance what is covered and then you’ll need to make sure your orthodontist accepts that particular insurance. Are you looking for an Orthodontists around North Dallas? For over 25 years, Dr. Greg Greenberg and our team at RxSmile Frisco Orthodontics have provided excellence in orthodontic care for families in the Frisco, Plano, North Dallas and greater metropolitan area. They strive to educate and assist our patients in making informed decisions about oral health needs while creating a warm, friendly atmosphere. Greg D. Greenberg, DDS, is a Frisco orthodontist at RxSmile Frisco Orthodontics and has been voted "Best of Frisco in Patient Satisfaction," D magazine Best Dentists and Texas Monthly TOP Doctors! Dr. Greenberg began practicing orthodontics in 1988 and had spent his entire career caring for two generations of families in the Frisco, Plano, Little Elm, The Colony, and the North Dallas metropolitan area. Dr. Greenberg, a leading innovator in advanced orthodontic technologies, has received recognition in the form of numerous awards such as Top Performing Invisalign clear dental aligners and AcceleDent® Aura to accelerate orthodontic treatment and certified as a Damon®Braces System doctor. Gupta Orthodontics is Plano's premier orthodontic provider for children and adults and specializes in Invisalign and the advanced Damon System Braces. Dr. Deepak Gupta is a board-certified orthodontist with a doctorate in dental medicine from the prestigious Harvard School of Dental Medicine, and a master's in Orthodontics and bachelor's in Computer Engineering from The University of Michigan. Dr. Gupta is committed to remaining at the forefront of orthodontic technology. He utilizes the most advanced equipment, materials, and techniques, allowing each patient’s care to be completed with outstanding results with minimal office visits and time spent in treatment. Gupta Orthodontics offers COMPLIMENTARY consultations to all patients interested in orthodontic treatment. During the initial consultation, you will have photos and X-rays of your teeth. Dr. Gupta will then perform a clinical exam and formulate a customized treatment plan that will result in the beautiful smile you have always wanted. Gupta Orthodontics is IN-NETWORK with many insurances and accepts most others. To make orthodontic treatment more affordable, all patients are offered INTEREST-FREE financing options. CareCredit and all major credit cards are also accepted. Call them at 972-473-3000 or go online to schedule a complimentary consultation and find out why Gupta Orthodontics has more 5-star reviews on Yelp and Google than any other orthodontist in Plano! 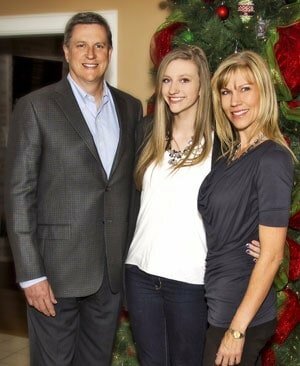 Dr. Tamara Jones is currently the only female board-certified orthodontist in Plano. It is her goal to give each child or adult an individualized treatment plan to ensure the fastest, top-quality result while her team strives to make the process convenient, affordable and fun! Willow Bend Orthodontics is in-network with most PPO insurance providers and specializes in WHITE GOLD metal braces, clear, as well as Invisalign and Invisalign Teen treatment. Complimentary treatment consultations and a free 2nd set of retainers (up to $500 value) Offer expire September 2019. 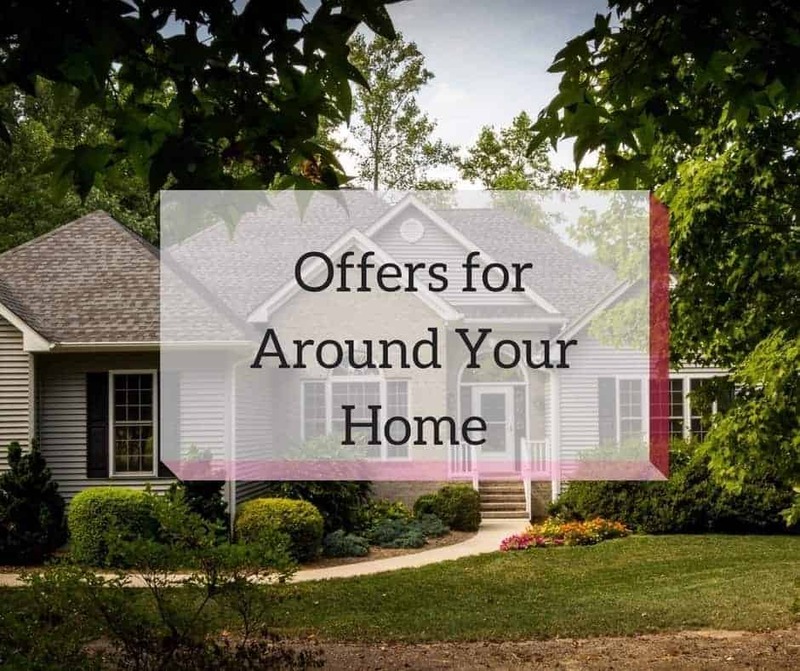 Contact#: 972-618-5050: You can call or text at this number. Texts sent after hours and on the weekends will be returned right then by Dr. Crain, so feel free to text whenever it is convenient for you. Technologically advanced: Digital scanner rather than impressions; Invisalign for adults, teens, and pre-teens; Self-ligating braces; Digital X-rays with minimal radiation. Conservative treatment philosophy: Most kids do not need orthodontic treatment until all of their permanent teeth are in. Of course, some kids do need orthodontic treatment while they still have baby teeth, but most do not. With kids who come to see us and do not yet need orthodontic treatment, we see them on a periodic basis to monitor their dental development and to time their future treatment. We will not start treatment on your child until it is in your child's best interest to start treatment. We will do what is best for your child at every step along the way. 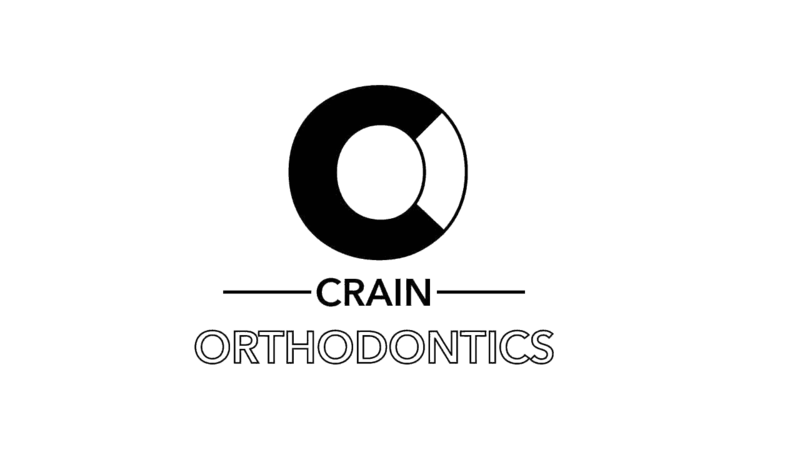 Dr. Crain places all of the braces, and he sees every patient at every appointment. Dr. Gerald Crain provides a state of the art orthodontist practice based in Plano, Texas. Orthodontic treatments include braces and Invisalign for children, teens and adults. 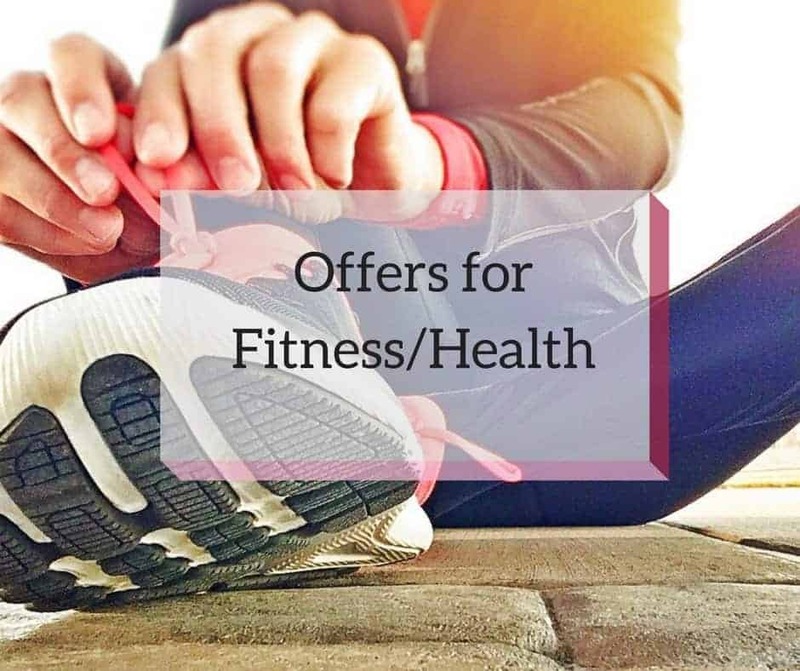 We will offer a discount of $500 on Comprehensive treatment and $250 on Phase I or Limited treatment if you mention (before treatment starts) that you were referred to us by Plano Moms. 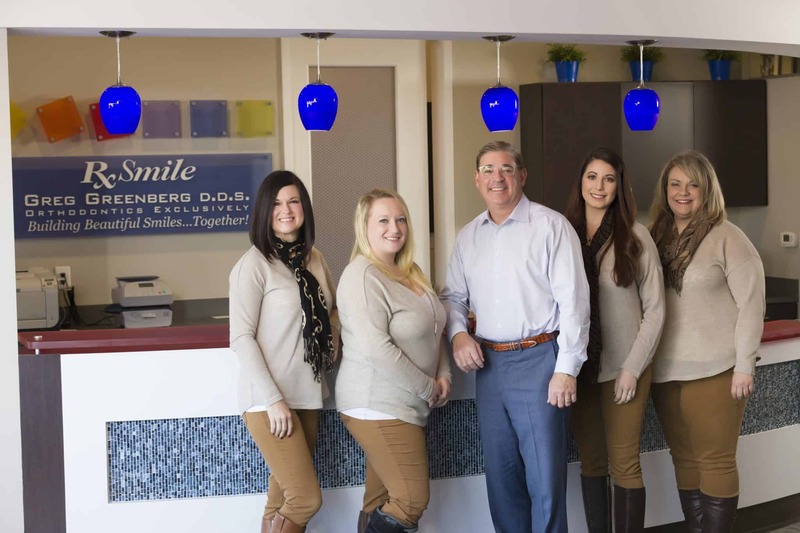 At Genecov Orthodontics, creating beautiful, lasting smiles in North Texas has been our mission for 2 generations! Our practice is dedicated to working with families to provide a fun, comfortable orthodontic experience. We want you to feel confident sharing your smile, and we believe you deserve the best we have to offer, focusing on meeting your needs and making your bite healthy and bright. 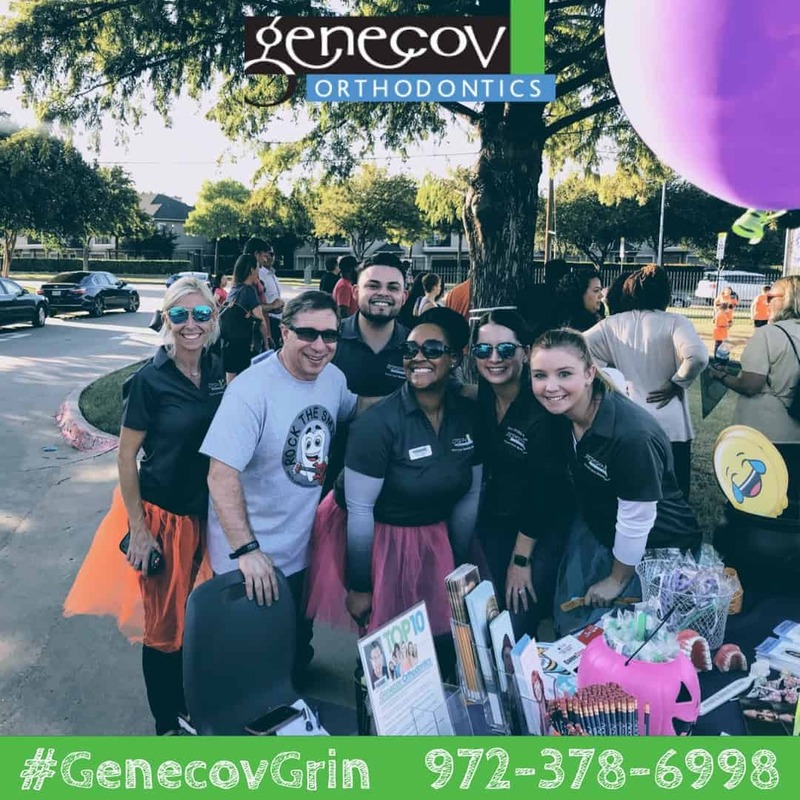 Genecov Orthodontics provides a relaxing, friendly, and professional environment where we treat our patients as if they are family. Families are now bringing their 3rd generations of patients to Genecov Orthodontics, a testament to the level of care, personal service, and continuity of care our practice provides. That family orthodontic tradition was passed from father to son by Dr. Edward Genecov to Dr. Jeff Genecov, and 2 years ago Dr. Kristin Brothers joined the practice to continue to care for patients with the same focus on one on one patient care. Plano Moms who schedule an appointment for themselves or for their child will receive a goody bag designed specifically for them through this offer. It'll include our t-shirt, Sonicare toothbrush, and other hygiene-related items. 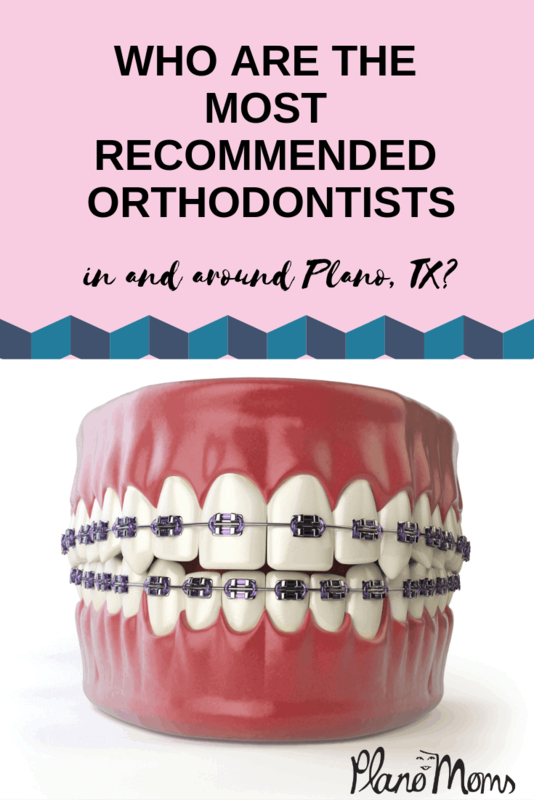 The listed Orthodontists have all been recommended by Plano Moms in our local Facebook Group! We'd love to hear from you! Who do you love the most? We also have recommendations for local Pediatric Dentists and have other resources for great questions to ask about Orthodontic Treatment!